Pesticides can interact with each other in various ways according to the compound itself and its chemical family, the dose and the targeted organs, leading to various effects. The term interaction means situations where some or all individual components of a mixture influence each other’s toxicity and the joint effects may deviate from the additive predictions. 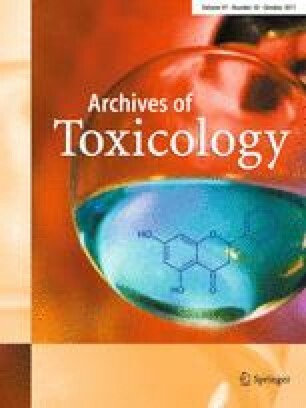 The various mixture effects can be greatly determined by toxicokinetic and toxicodynamic factors involving metabolic pathways and cellular or molecular targets of individual pesticides, respectively. However, the complexity of toxicological interactions can lead to unpredictable effects of pesticide mixtures. Interactions on metabolic processes affecting the biotransformation of pesticides seem to be by far the most common mechanism of synergism. Moreover, the identification of pesticides responsible for synergistic interactions is an important issue for cumulative risk assessment. Cholinesterase inhibiting insecticides (organophosphates and N-methylcarbamates), triazole fungicides, triazine herbicides, and pyrethroid insecticides are overrepresented in the synergistic mixtures identified so far. Since the limited available empirical evidence suggests that synergisms at dietary exposure levels are rather rare, and experimentally occurred at unrealistic high concentrations, synergism cannot be predicted quantitatively on the basis of the toxicity of mixture components. The prediction of biological responses elicited by interaction of pesticides with each other (or with other chemicals) will benefit from using a systems toxicology approach. The identification of core features of pesticide mixtures at molecular level, such as gene expression profiles, could be helpful to assess or predict the occurrence of interactive effects giving rise to unpredicted responses.